The Women’s Tambora combines fashion, comfort, and functionality to assure that you will love your boots for years to come. Lugz Women's Tambora Boots are the perfect way to be fashionable when it's cold outside! 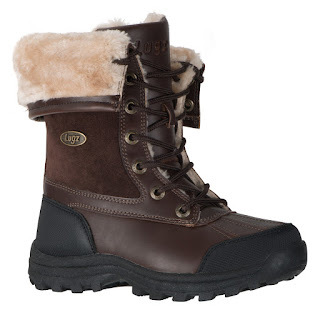 I love boots especially boots that keep my feet warm which is exactly what these Lugz Women's Tambora Boots do. They have a soft acrylic fur lining that feel like heaven as soon as you slip your feet into your boots. This fur lining keeps your feet warm and toasty. Lugz Women's Tambora Boots also have a rubber toe cap and heel so they're sure to stay dry even in the most unpleasant weather. Lugz Women's Tambora Boots are extremely fashionable and look amazing whether paired with a simple pair of leggings or a full on snow suite. These boots are sure to protect your feet during the winter months all while helping you look amazing!